For centuries, Christians have marveled at the reality of God's healing power and divine miracles wrought through the hands of men and women who have dedicated their lives to Him. From the early Church to the twentieth century, people have flocked to these ministers in a desperate search for healing and understanding of the power of God. One such minister, known for his great boldness, was John G. Lake. He brought an air of intrigue, faith, and encouragement to hundreds of thousands of believers in the United States and abroad. Born in 1870 in Ontario, Canada, John G. Lake fought hard to survive a sorrowful childhood and make a material success of his life. Then, at the age of 37, he gave up all he had--some report he gave up millions-to seek God's divine purpose in his life. Within a year, Lake and his family ventured to Africa, bringing a storm of God's supernatural healing power. After five years, he left the African ministry he began, leaving a heritage of more than 1,000 preachers, 100,000 converts and countless miracles. He then returned to the state of Washington with a stronger faith in Christ and mightier anointing of God's healing power. Shortly thereafter Lake's Divine Healing Institute made Spokane, Washington--as documented by the United States Government-"...the healthiest city in the world" This book, which tells Lake's life story through an authorized biography and his sermons, shows-perhaps more than any other--how bold faith like John G. Lake's can come alive in any believer who will receive. Included in this unabridged and unaltered volume: 44 classic and timeless sermons of John G. Lake-27 never before published. John G. Lake's stirring, fully authorized biography. Powerful poems given to John G. Lake by the Holy Spirit. Original radio sermons by John G. Lake. Many historical photos. Foreword by Gloria Copeland. John G Lake by Copeland, Kenneth & Gloria was published by Harrison House Publishers in April 2013 and is our 16905th best seller. The ISBN for John G Lake is 9780881149623. 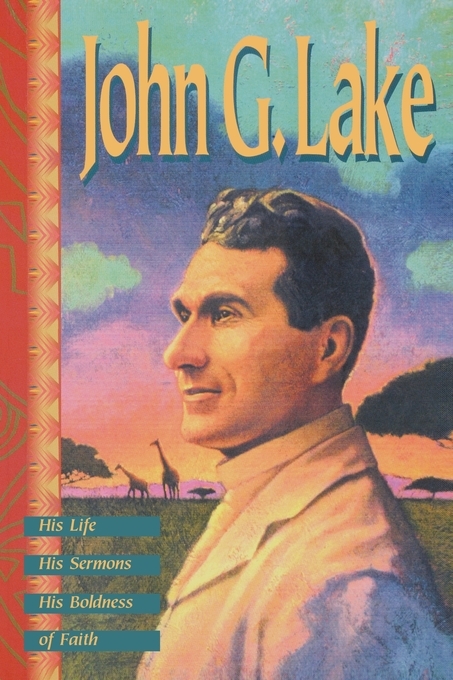 Be the first to review John G Lake! Got a question? No problem! Just click here to ask us about John G Lake.